How To Make Home Made Dulce de Leche. Some people pay a lot of money for ‘authentic’ dulce de leche. Algunas personas pagan mucho dinero por “autentico” dulce de leche. In the past dulce de leche was made with milk and sugar. Today commercial brands use many other ingredients other than sugar and milk, i.e. corn syrup. En el pasado el dulce de leche se hacia con leche y azucar. Hoy las marcas comerciales usan mas ingredientes ademas del azucar y la leche, por ejemplo jarabe de maiz. Dulce de Leche is easy to make. Dulce de Leche es muy facil de hacer. 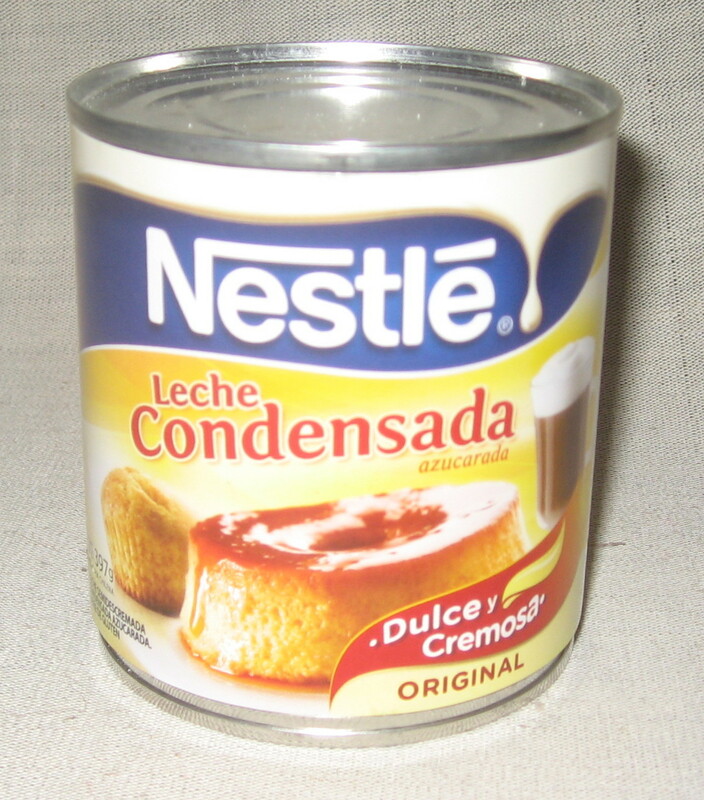 Leche Condensada is the ingredient you will need to make dulce de leche. 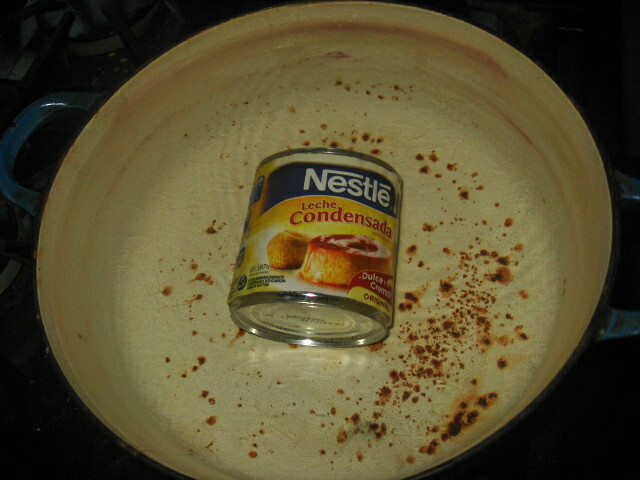 First you need to buy a can of condensed milk. You probably want to use an old pot to boil it in. Primero compra una lata de leche condensada. Probablemente quiera usar una vieja cacerola para hervir la lata. Boil the can of condensed milk for two hours making sure to keep the can submerged under the boiling water throughout the process. Hierva la lata por dos horas cuidando que este siempre sumergida en el agua hirviendo durante la coccion. 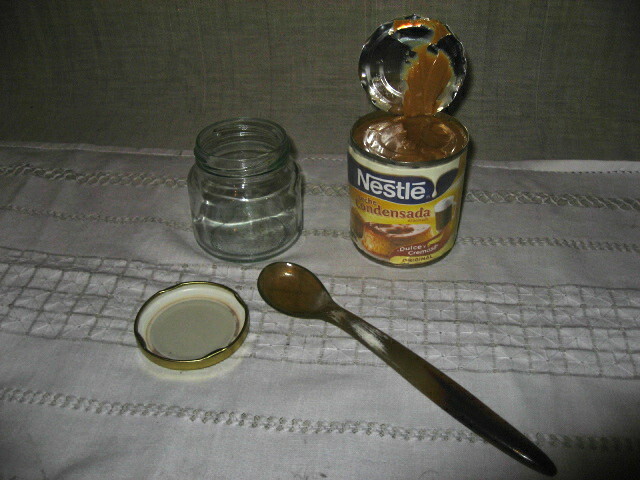 Afterwards use a can opener to get to the dulce de leche and have a glass jar or some kind of container handy to transfer it into. Luego abra la lata de dulce de leche y tenga listo un pote de vidrio o similar para poner el dulce alli. 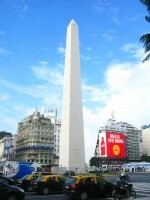 In Argentina, banana and dulce de leche is a classic. 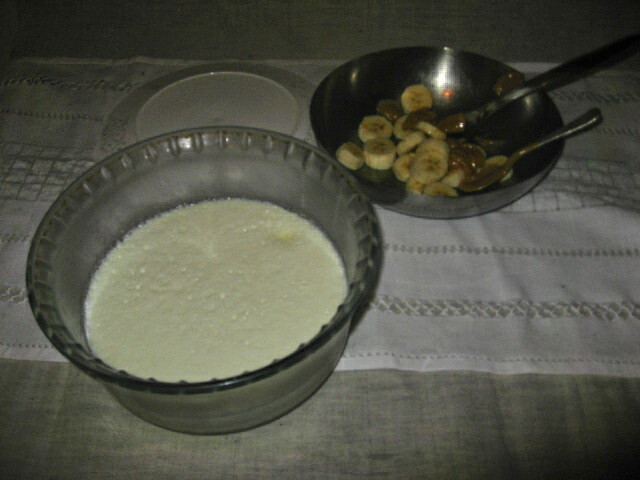 Dulce de leche is a little bit sweet for us so we mix it with home made yogurt. En Argentina, banana con dulce de leche es un clasico. 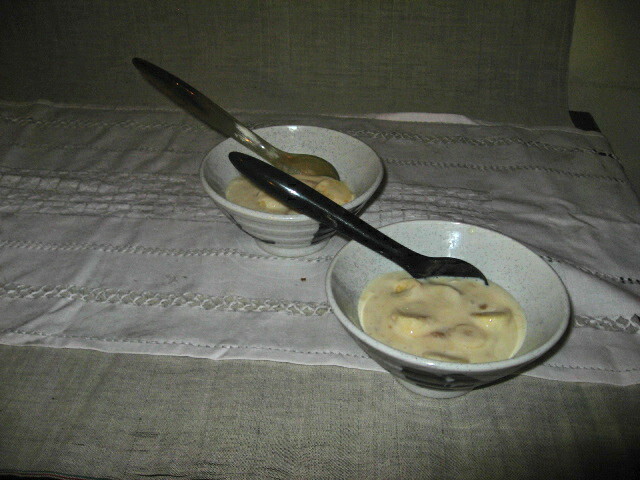 Como el dulce de leche es un poco empalagoso para nosotros lo mezclamos con yogurt casero. Mezcla y servir. Que rico! This entry was posted in aliment, groceries, Uncategorized and tagged aliment, alimentos, Argentina, dairy, receta, recipe, yogurt on June 2, 2014 by ayresinsider.